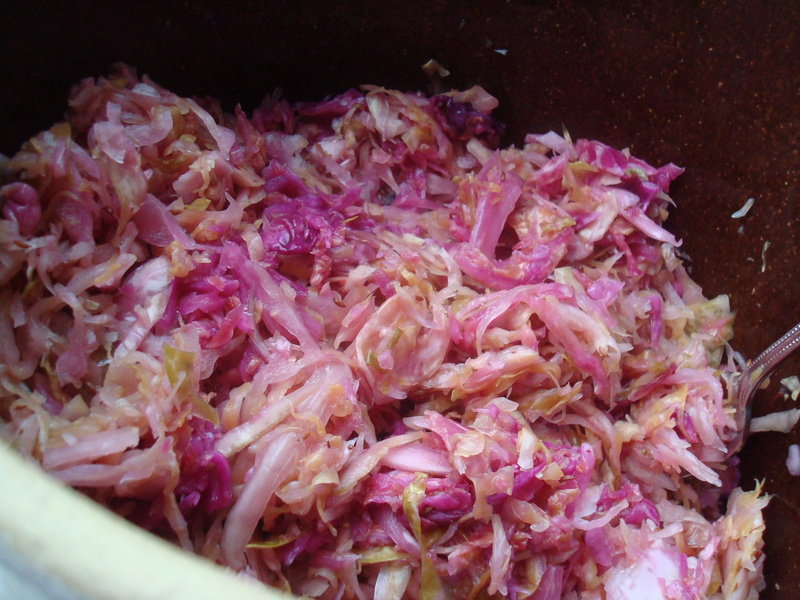 Less than three weeks later: fermented kraut. 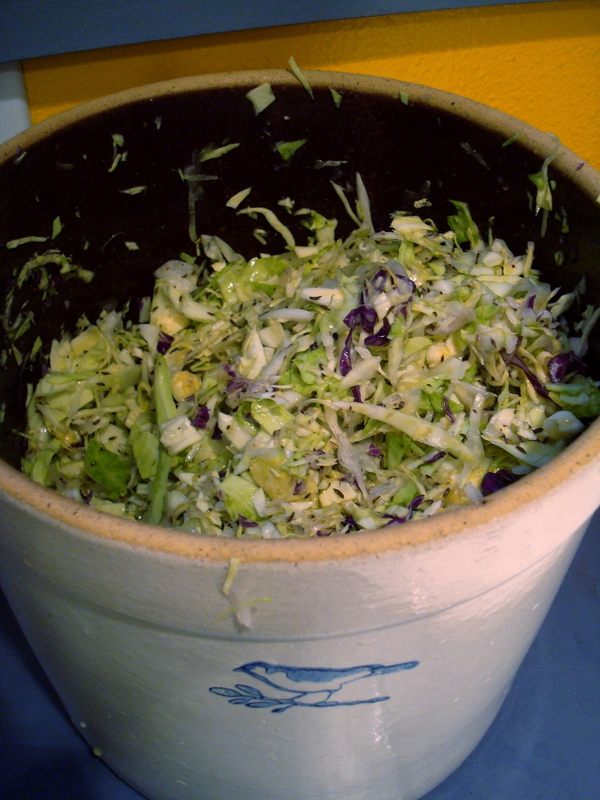 Shredded cabbage in pickle crock on day one. Fermenting and pickling are my favorite of the food preservation arts. Fermenting especially, because there’s no cooking up a brine, stuffing jars, water-boiling them. I love raw fermentation, where all you do is salt and submerge the chopped vegetables in their own juices, and then the naturally-present lactobacillus bacteria transform the vegetable sugars into lactic acid, the vinegar-like natural brine that preserves your kraut. I started fermenting my kraut about Nov. 7, so I could connect with the great Baltimore Thanksgiving tradition. Of course, I never made sauerkraut in Baltimore nor did I ever have Thanksgiving there, but I love Gertrude’s (site of our rehearsal dinner) and meant to attend their kraut festival. So I was thrilled to find Gertie’s recipe for Sauerkraut and Apples (tips on fermenting your own kraut here). The uptown version, with dry champagne and fresh ginger, graced our Thanksgiving table. The clean tang of the kraut helped undercut the grease and heaviness of the rest of the meal. Plus, those tangy probiotic bacteria (like the ones present in yogurt) really aid in digestion. 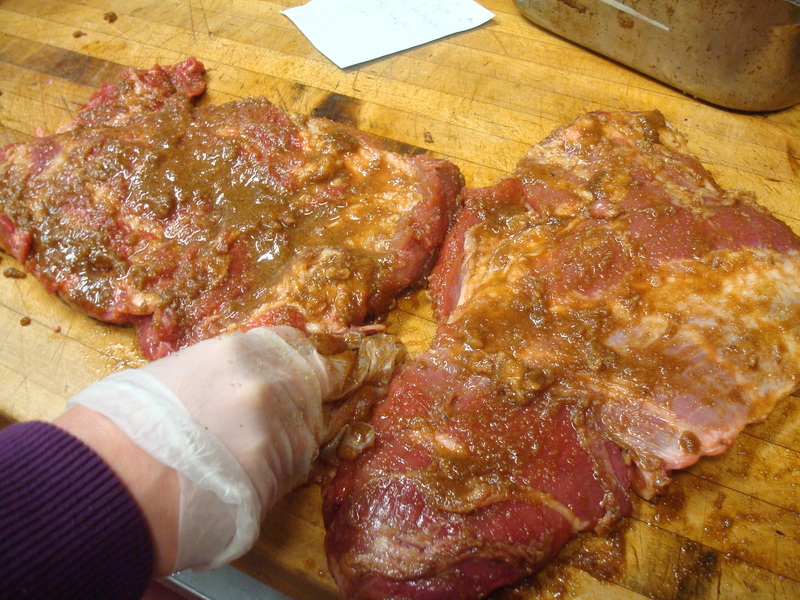 Another secret to the kraut: we sauteed it with the maple-cured, applewood-smoked pork belly I just cured with Intaba at the restaurant. Curing the pork belly with salt, brown sugar and maple syrup. After a week of curing, plus an hour of smoking: bacon! The same day I made kraut, I also made garlicky, gingerly, salty-sweet Napa cabbage kimchi, with the recipe from hip chef David Chang of Momofuku fame. I still need to make his Fuji Apple Salad with Kimchi, Smoke Jowl & Maple Labne before we eat all the kimchi in the fridge. 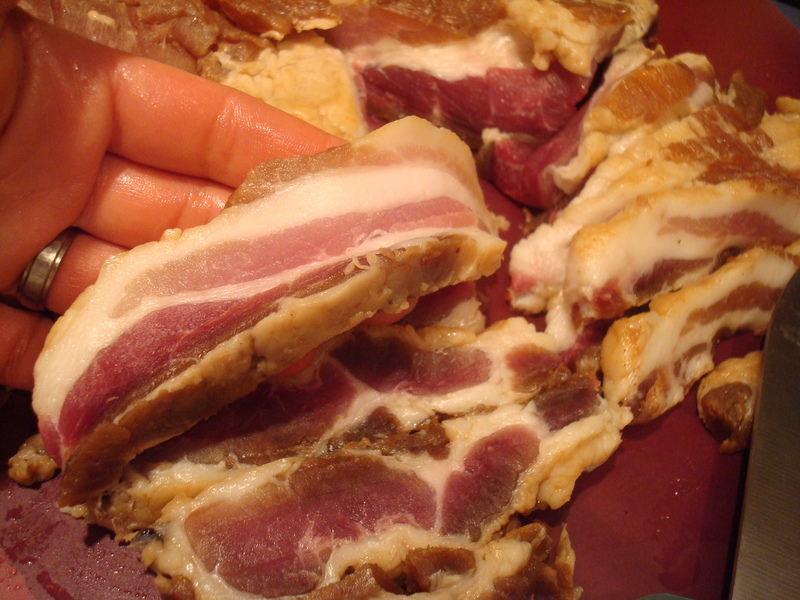 If only we’d smoked some pork jowl with our bacon. 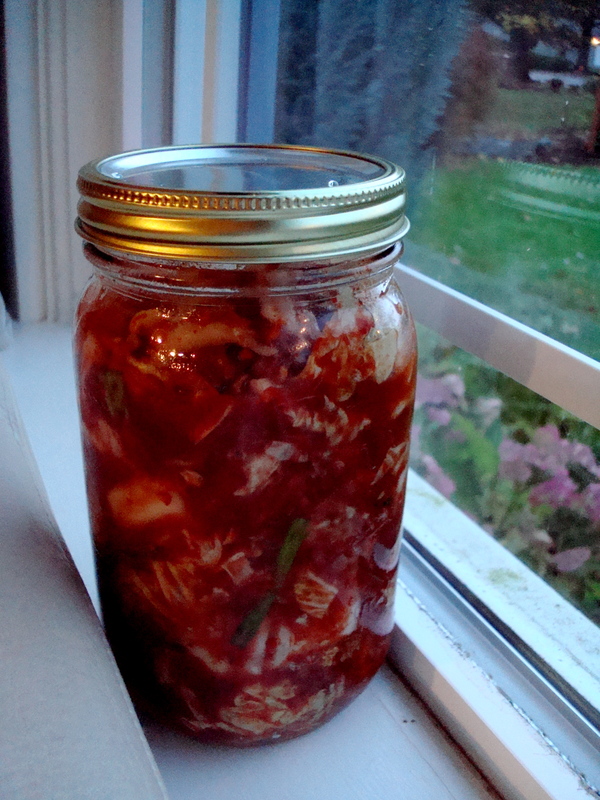 My Napa cabbage Kimchi, based on Momofuku's recipe. It does a number on your breath!